For the past twenty years, PANTONE has chosen a color of the year. This color influences product development and purchasing designs in multiple industries. Each year, PANTONE’s color experts look for new color influences in areas such as the entertainment industry, all areas of design, art, travel, new technologies, social media platforms, or worldwide upcoming sporting event. 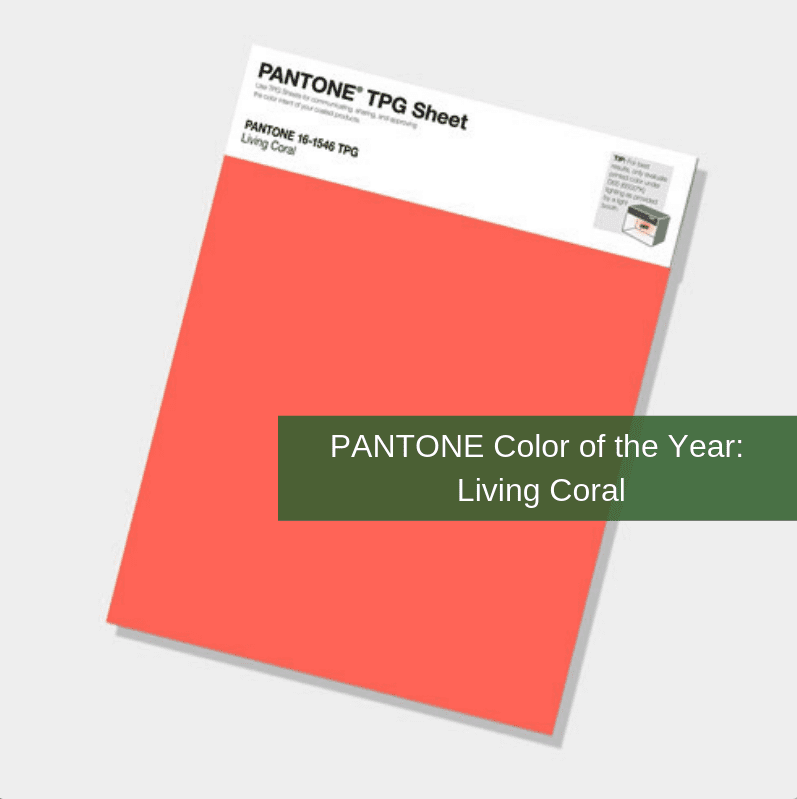 This year, the PANTONE color experts have chosen the color Living Coral. Living Coral is a bright, vibrant color that will bring new life into your home. The color experts at PANTONE sat that the color is nurturing and “emits the desired, familiar, and energizing aspects of the color found in nature.” It also encourages lighthearted activity and encourages our natural desire for playful expression. In short, Living Coral is the perfect playful color to introduce into your home this year. Here are some great ways to display PANTONE’s color of the year in your home this year. An accent wall is a great way to incorporate the color into your home without having to do too much work. 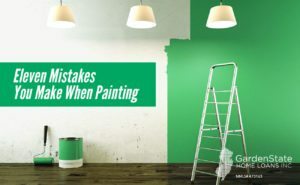 Since, it’s a bright color, having it take over all four walls may be too much for you, so stick with just painting one. If you don’t want to take the time to paint your walls (or you can’t because you’re renting), consider using different pieces to accessorize your living space instead. This can be anything from a throw rug, to blankets, to pillows. It’s a quick, easy, and inexpensive way to incorporate the color into your home. Statement pieces are single, large pieces that encourage conversation. A statement piece, such as a sofa, a large floor rug, or a piece of artwork, is a great way to incorporate the color into your home. Do you have any rooms in your house that don’t get much light? Use Living Coral to brighten up the room! The warm undertones of the coral will brighten up any room you decide to put it in. 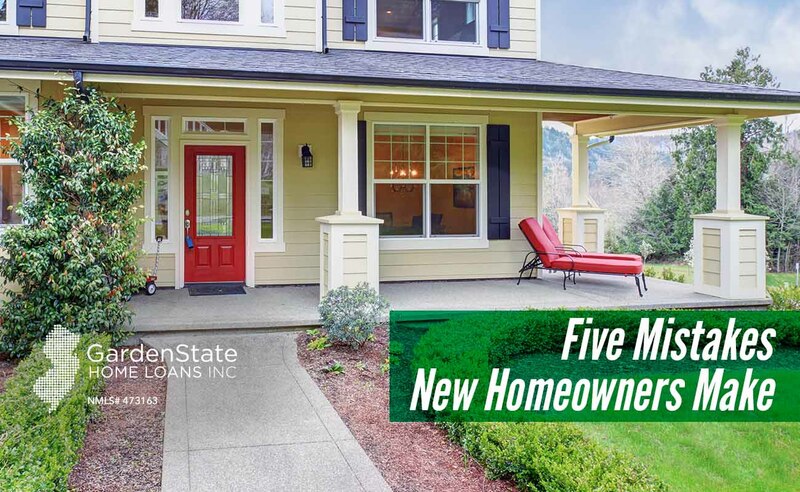 Buying a new home can be a tedious task, even after you get the home. If you are a first-time homeowner, you are now faced with the decision to purchase furniture to furnish your whole home. 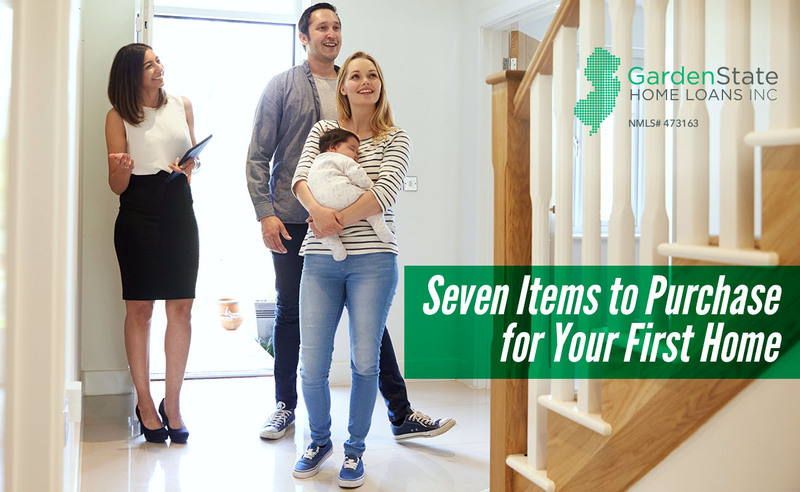 If this task seems daunting, here are a few things that you should purchase first to get you started. You spend about a third of your life in bed, so you should definitely put a lot of thought into the bed you purchase. Your bed should be comfortable and well-constructed. However, don’t assume the most expensive bed is the best. Spend some time in the furniture store going through the different options to find which is best for you. If you can’t afford to purchase a bed right away, you can use an air bed for a short period of time. After you purchase your bed, you can use the airbed for the guest room. A sofa is also very important for your home, as it typically becomes the central sitting piece in your home. Don’t settle for the cheapest piece that you find. You’re going to want to be comfortable whenever you have guests over or if you’re lounging watching television or reading a book. Loose back cushion couches look more casual, however, tight-backed couches require less maintenance. Most dining room tables are rectangular or circular. Consider purchasing a table that extends out to seat more people if you have more company coming over. Figure out what type of table will fit best into the space that you have. If you have a dining room table, you’re going to need chairs to sit on while you eat! They should be comfortable enough that you can sit and eat a long meal in them. Typically, wooden chairs are inexpensive, but they aren’t as comfortable as upholstered chairs. You can also consider purchasing armchairs to use as dining chairs. These can be brought into your living room if you are having more company and need extra seating. Side tables are a necessity in your new home. They are great for placing down drinking glasses or food, or for magazines, books, or the television remote. You could also create a coffee table with a set of small tables so that they are able to be moved wherever they are needed. Side tables also work well next to your bed. If the lighting in your home is harsh, you may want to consider installing dimmers on the wall switches. Additionally, consider placing floor and table lamps around seating areas. The lamp shade should be made of a sheer fabric so that more light can get through. Window treatments not only add privacy to your home but also style. If you’re not sure what your decorating scheme is going to be throughout your home, consider sticking with neutral colors for the window treatments so they will match will everything. Some rooms just aren’t as light as others. To brighten your room, follow these steps. You may think that a glossy paint finish does a better job of brightening your room, but it’s the opposite! Glossy walls create a glare, which doesn’t help your space. Instead, use a matte finish instead. Matte finishes reflect light making the whole room seem brighter. A white ceiling makes a room feel taller and lighter. 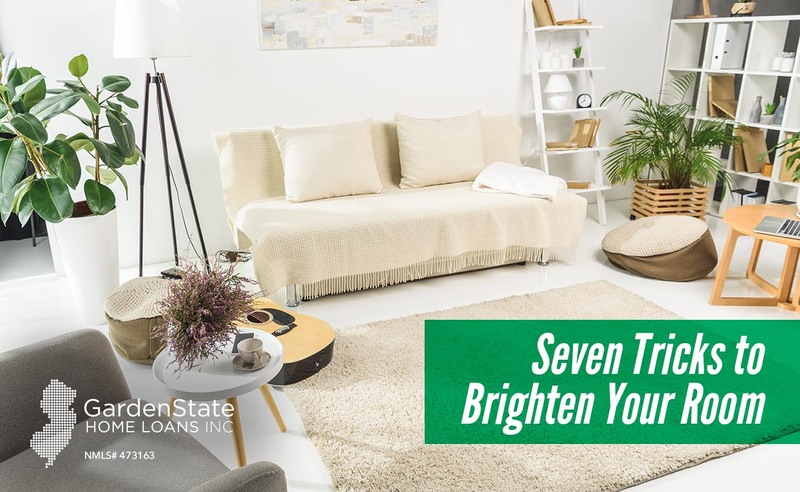 If your main goal is to brighten the room, make sure your paint is the clearest, brightest, and whitest white you can find. Cream, eggshell, off-white, and other similar colors will take away brightness from the room. Painting woodwork can instantly brighten a room, but be sure this is the course of action you want to take. Once you paint woodwork, it’s very difficult to restore the wood back to its original look. Paint any wood, such as a staircase, dated wood, or ceiling beams, with a coat of white paint. If you haven’t gotten the hint, white is a great color to use when wanted to brighten a room. The lighter the color of your walls, the more light they’ll reflect. To avoid having a room full of white, add in softer, light shades of gray or blue. The play well with white shades and add a great pop of color. Mirrors are perfect for brightening dark areas. If possible, place mirrors across from windows to reflect natural light. Don’t worry if this is not possible. No matter where a mirror is placed in a room, they will reflect light. In addition to mirrors, work with reflective surfaces, either in cabinet hardware or tables, to allow more light to bounce through the room. Opaque lampshades are always a no-no when trying to brighten a room, even if they are a light color. Instead, make sure that your shades are made of a light material, such as linen. Light materials allow more light to filter through to the room. Heavy drapes darken a room. Use streamlined panels or airy curtains to create a lighter room. They take up less space in the room and allow more natural light to enter the room. Spring is coming, which means it’s time to get your lawn in order. 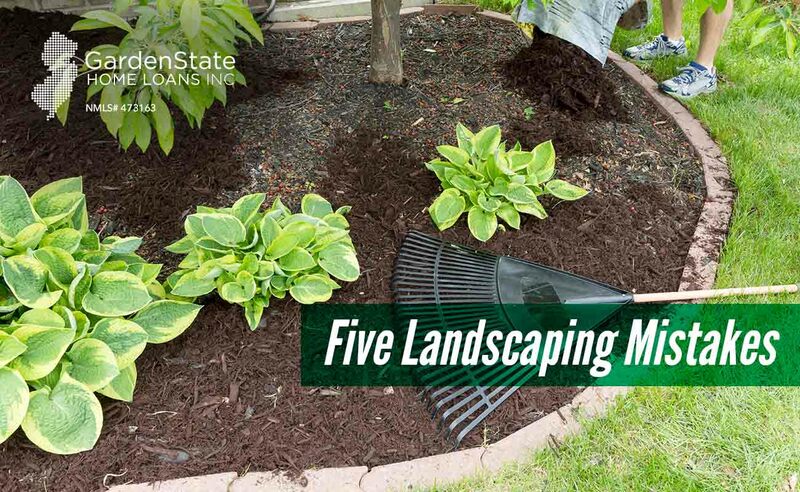 When landscaping, here are a few things to avoid. One of the biggest mistakes you can make while landscaping is choosing the wrong type of plants. Invasive plants, such as bamboo, fountain grasses, or pampas grasses quickly grow out of control. Additionally, grasses like the fountain grass, pampas grass, and Mexican feather grass can be fire hazards, as they have dry leaves and flowering stalks. There are also several types of trees you should be wary about planting in your yard. Like anything, planning is necessary when landscaping. Not planning can lead to improper use of your space. Work out a design on graph paper to properly understand your space. Include perennials in small areas of your lawn and skip over large shrubs. If you plan on using plants of varying heights, place the taller ones toward the back and smaller plants up front. Too much mulch around trees can suffocate them. Mulch must be applied loosely to control soil temperature and keep it moisturized. Tightly packed mulch can soften the root collar, resulting in a rotted tree. Rotted trees can bring insects, suffocated roots, and make the tree more prone to falling during storms or strong winds. Many people use gravel in their gardens because it helps to save water. That’s true, however, it also reflects heat towards plants nearby. This can damage these plants. The heat that is not reflected gets absorbed into the gravel, which can bake the roots of your plants. Additionally, gravel mixed into the soil can make it too hard to absorb water. Artificial grass is becoming more and more popular as a landscaping option and is looking more like real grass every day. However, if you don’t properly install the grass, the expanding and contracting of the soil can cause wrinkles, soft spots, and an uneven surface. To avoid this, install a sub-base three inches below the finished grade. The sub-base will give you a great base to ensure that your artificial grass will continue to look nice for years to come. You’re never too old to make (and hang out in) a blanket fort! They’re the perfect place to relax on a weekend…or whenever you want to build one. Here’s how to make the perfect blanket fort. You may also want to back the fort up to a couch or a few chairs to create structure and get a nice, cozy sitting place for your fort. Use lighter weight blankets or sheets for the top of your fort. Heavier blankets are not only more likely to weigh everything down, but they will also make your fort hotter. Take your heavier blankets and comforters and place them on the floor. The more blankets you use, the more the floor will feel like a mattress. The comfier the floor is, the longer you’ll be able to chill in your awesome fort! Add in some pillows and you’ll never want to leave. 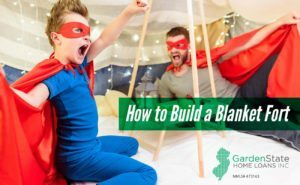 While building the blanket fort is great entertainment, you’ll need something to do when it’s all finished! You can build your fort so that your television is inside it with you. Or you can bring in books, magazines, or different board games or gaming systems, whatever your heart desires. Now that you’re all done building, all that’s left to do is enjoy your fort. Bring in some snacks (and paper towels to avoid crumbs), sit back, and relax. Painting is one the most common home improvement tasks that homeowners do on their own. If you decide to paint your room by yourself, make sure to not make these mistakes. Professional painters spend much of their time on prep work. Make sure you’ve properly cleaned your walls, scraped off peels and cracks, applied painter’s tape properly, and allow for patching compound to dry. To properly clean your walls, begin by running a vacuum over the walls. Then mix together a gallon of warm water and two cups of vinegar. Use a rag to wash the wall. Don’t forget about the corners and baseboards! Cheap brushes can make the whole project fail, no matter how good your paint is. High-quality brushes and roller covers will give you better coverage and save you on paint in the long run. In addition, brushes can last for years if you take proper care of them. Painter’s tape will give you clean, precise lines that masking tape just won’t. Professional painters use painter’s tape, so you should too! When applying painter’s tape, use a putty knife or mini scraper to remove air bubbles and seal the edges. This will prevent drips and ensure sharp lines. Primer covers any flaws in the wall surface and creates a smooth, long-lasting finish. If your wall currently has a flat, or non-glossy, finish, and is still in good shape, you can use a paint-and-primer in one mix. However, if you are working with a more difficult surface, such as a plaster, wood, stained/porous drywall, concrete, or glossy paint, use a stand-alone primer. You can also use a premium all-in-one primer and paint mix. Don’t dip your paintbrush all the way into the paint. You should only need to dip the brush in about a third of the way. Any deeper and the paint settles deep in the bristles, making it difficult to clean. For the smoothest finish, start near the ceiling and work your way down. This way, you can catch any drips that fall as you work. Satins or semi-glosses work best for areas that get a lot of foot traffic, such as a closet or the laundry room. If you don’t want to take down wallpaper before painting, be sure to first use an oil-based primer. Any water-based paints or primers can reactivate the wallpaper glue, which can lead to the glue peeling. New paint needs texture to adhere to. To create this texture, lightly scruff shiny surfaces with sandpaper. Afterward, rinse the area with cold water. You need to wait for the first coat to dry before painting on a second coat. If you paint the second coat too quickly, the paint can peel or your brush strokes can be visible. Follow the instructions on your paint to find out drying times. If you can’t find drying times, wait 24 hours before adding the second coat. Protect your paint investment by washing your brushes properly, with water and dish detergent. Wrap the brushes with airtight plastic wrap or aluminum foil. Store them in their original packaging. This will help the brush hold its shape. 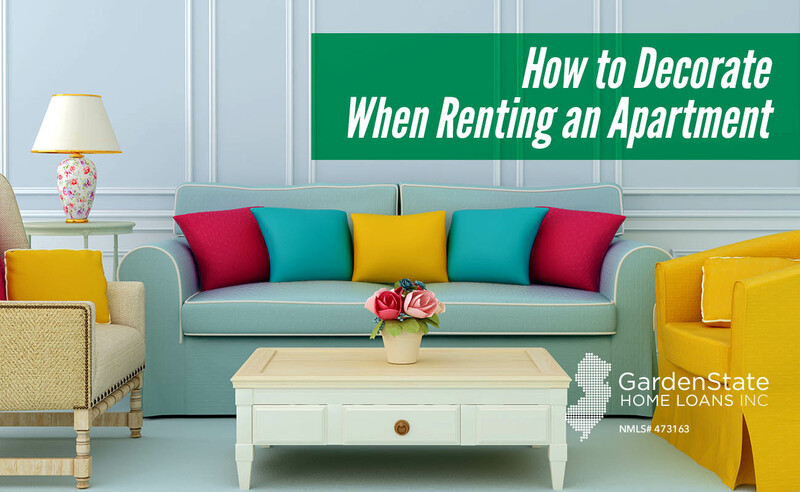 Decorating while renting may seem like a daunting task. You don’t want to do anything that could potentially damage the apartment and cost you your deposit. However, this shouldn’t keep you from decorating at all. Here are a few ways for you to decorate your apartment without having to worry about your landlord. If you are really worried about the work you are thinking about doing, the best way to squash those fears is to talk to your landlord! Getting written permission is the perfect way to ensure that the work you want to get done is okay. Choose versatile pieces that can be transitioned to new living spaces, not just those that fit into your current space. You may also want to consider ottomans, coffee tables, or side tables that double as storage. You may not be able to upgrade actual fixtures due to budget or permission from your landlord. What you can do, however, is swap out lamp shades. It’s a quick and easy way to add color and design to your apartment. You can also purchase different floor or table lamps to add more light and personal flair to your apartment. An easy and quick way to make the apartment your own is through kitchen and bathroom hardware. Typically, the cabinet pulls that come with the apartment are what is deemed “builder basic”. This means that the pulls are a generic design. You can go to any hardware store, such as Home Depot or Lowe’s, to find something that is more your style. These are easy to change out. Keep the old hardware and switch them back in when you move. A good area rug is good for an apartment, be it for covering laminate flooring or older carpeting. In addition, an area rug is a great way to bring color and texture into your space and a personal touch to your apartment. Artwork is a great way to bring personality to your apartment in a non-permanent way. There are many different places that you can buy art pieces, both online and in brick and mortar stores. You can even create your own artwork! There are also many ways that you can display the artwork so let your imagination run wild. Check out estate sales, garage sales, and flea markets for one-of-a-kind finds. Mix these secondhand pieces with newer items to show off your creative flair. Pay attention to the colors that you’re using. Certain colors complement each other while others will clash. Spend some time deciding what you want your color palette to be. You may also want to consider using brighter colors as an accent piece while using neutrals for your furniture. Neutral furniture is easy to transition to different living spaces and through different times of your life. They can be jazzed up by using brightly colored painted walls, pillows, and blanket throws. Window treatments are a great and easy way to add style to your apartment. If you have a smaller room, consider hanging the longest panels your room will allow. This will elongate the room and make the ceilings seem higher up than they are. Use the same style of curtain rod throughout your house. Command hooks are great for many different things. A major reason to use command hooks is that it allows you to hang items that you may not be able to if your landlord does not want you to use nails. They are easy to remove and don’t damage the walls. Your master bedroom is one of the most important rooms in your house. After all, you do spend about a third of your life in bed! Because of that, you should make your bedroom the best it can be. Here’s how to do just that. 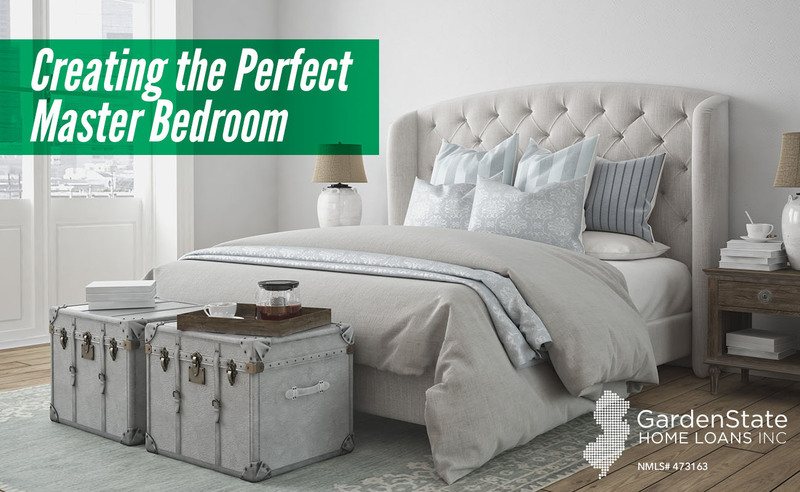 The first thing you should do when designing your master bedroom is select a bed and a mattress. Go to a mattress store and find the most comfortable mattress in the store. After you find it, sit and relax on the bed for a few minutes to make sure that it’s what you truly want. If you currently have a double bed, you may want to consider upsizing to a queen or king bed. You may also want to consider getting a new headboard. A headboard can add visual interest and be a functional piece. An upholstered headboard can provide a soft backing for reading or watching television. If you’re not into the look of an upholstered headboard, there are plenty of other kinds that function differently, such as ones with storage options or ones that have bookshelves built in. Now that you have the bed, consider getting new linens as well! New sheets, blankets, and pillows will make your new bed luxurious. If you’re thinking of buying cotton sheets, higher thread counts are softer and have a more durable wear. They also won’t pill or fuzz. Many people will make the wall behind their bed an accent wall. This means that the wall is a different color or pattern than the rest of the room. Turn your attention to your closet space now. If you can’t fit your entire clothing collection into your closet space, you’ll need to get extra storage options, such as a dresser or armoire. Before bringing in storage options, organize your closet to determine if you can get rid of anything or put stuff in storage. However, don’t bring in extra storage unless you absolutely need it. Unnecessary objects will just make the room seem cluttered and cramped. You may also want to consider getting new treatments. Bedrooms are often filled with horizontal lines, so drapes are a great way to introduce a vertical element to your room. They also bring in an element of softness, making the room a more soothing environment. If you have the room, a seating area is a perfect addition. You can add a couch or a few chairs to make a place to watch TV or to read a book. At the foot of your bed, consider putting an ottoman or bench at the end. Some of these even have storage options that you can use to put extra sheets and blankets in. For lighting, overhead lighting is great for brightening the room in general whereas ambient lighting, such as through sconce lighting, is great for creating a relaxing atmosphere. Your room is ready and raring to go! Go forth and relax in your new room. 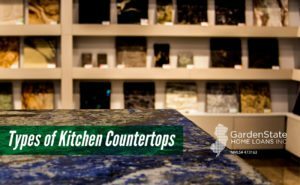 There are many different types of kitchen countertops on the market. It can be overwhelming when starting to redo your kitchen. Here are six of the most popular types of kitchen countertops to help get you started. Laminate countertops cost about $10 to $40 per square foot. Another term for laminate is Formica. Formica is technically a brand name for a combination of paper and resin. This is formed together with high heat and pressure. It’s cheaper than the stone counterparts and can be made to resemble wood or a more expensive stone. However, because it’s cheap, laminate countertops can be easily scratched and chipped. This means that you will most likely need to replace the countertops at some point during your time in the home. Marble is one of the most expensive options at $100 to $150 per square foot. Though it is expensive, it does look good! Marble adds polish and class to a home and mixes well most other fixtures in your kitchen. However, marble is a porous material. This means that the material is high-maintenance and will need to be resealed every few years. They can also chip and stain easily. Corian countertops are a mix of acrylic and polyester materials. It costs about $40 to $65 per square foot. Corian countertops can be made in a variety of colors and can be manufactured to look like natural stone. They are nonporous, meaning they are easy to clean. However, they scratch more easily than stone and are less resistant to heat. That means that leaving a hot pot or pan on the counter can cause it to warp. Granite is one of the most popular materials chosen for kitchen countertops and costs approximately $60 to $100 per square foot. It is made from a naturally occurring composite of quartz, mica, and feldspar. Because granite comes straight from nature, each countertop is as unique as the homeowner! Granite is a resilient material. They are hard and difficult to scratch. However, granite is expensive relative to other materials. It is also difficult to repair should the granite chip. Concrete has recently become a popular countertop material and costs about $65 to $130 per square foot. These countertops are custom-poured. Because of this, homeowners can use their creativity to add anything to the design, such as stones, glass, or tiles. They are sturdy and do not easily chip or scratch. If you do end up chipping it, it can be fixed fast by mixing and pouring in more concrete. However, since concrete has to cure, you need to wait a bit before using your counters. If you’re looking for a one-day switch, then concrete countertops might not be for you. Additionally, these countertops are porous, meaning they can stain easily and will need be resealed regularly. Butcher block countertops are made of thick, fancy wood and generally cost about $45 to $100 per square foot. These countertops work well for those who want a more sustainable kitchen, as it is a renewable source. However, they are high maintenance. If they are not resealed regularly, about every six months, mold and bacteria can grow. Butcher block also lowers resale value because of how high maintenance it is. It can be daunting when deciding how to decorate your new home. 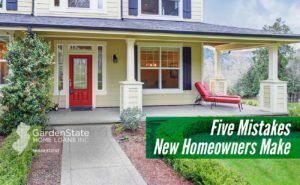 If you don’t know where to start, here are five things that you should avoid doing to help get you started. You don’t need to keep the layout you saw during your first home viewing or your final walkthrough. Some of the rooms may be set in stone, like the kitchen, a bathroom, or the master bedroom, but feel free to play around with others. A room that was shown as a bedroom can become your home office or a game room. Don’t settle for what’s there! Make the home your own. You’re going to be living in your home for a long time, so take your time deciding how to decorate it. It’s worth the wait to get the things you want instead of the things that are available right now. You don’t want to look back in a few months’ or years’ time and wonder how your home may have looked with that couch or backsplash that you wanted. Wait it out to get the right pieces for you. 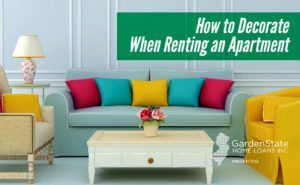 Renting comes with certain limitations, including not being able to change the flooring or paint your room a certain color. Owning a house means throwing all those restrictions. Take a chance and take on all those home improvement dreams you had in your apartment. Install new hardwood floors. Paint the walls. Let your creativity run wild. The curb appeal of your home is just as important as the inside, so don’t forget about it when you start decorating. Think about what you can do to make the outside of your home just as functional as the inside. Decorate the outside with a garden or other shrubbery, a fire pit, or maybe even a pool! Depending on the time of year, you may also need to spend more time tending to your lawn. Problems have a way of creeping up on you, and without a super or handyman, you’re the one who has to fix them. Don’t leave little problems alone, as they can become big problems in the blink of an eye. Fix issues when they come up. Not only will it be less time-consuming, but it will also be less expensive.